Half of your site visitors are bots. Of those more than 50 percent are malicious. 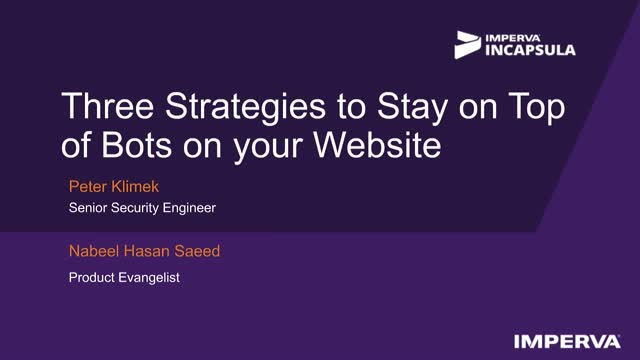 Find out how you can take control of your website from malicious bots while reaping the benefits of “good” bots with Incapsula. You can block, redirect or channel bots to improve performance and security with Application Delivery Rules.